Scanned. 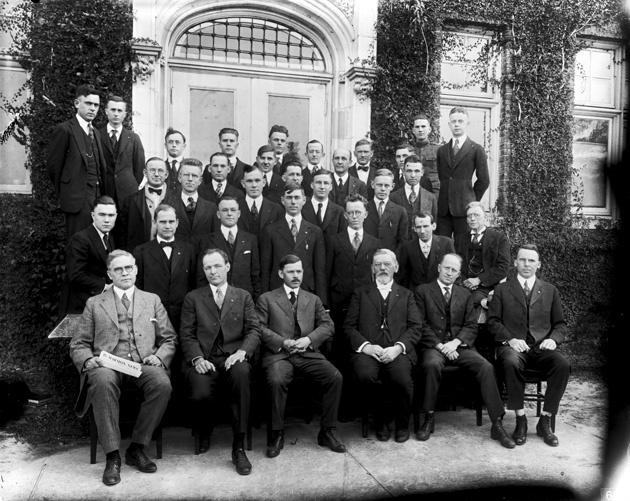 Murphree and Bucholtz with a group by the door of a classroom building. Photograph 66 from the University Archives Photograph Collection.